Summer Restaurant Week is in full swing! 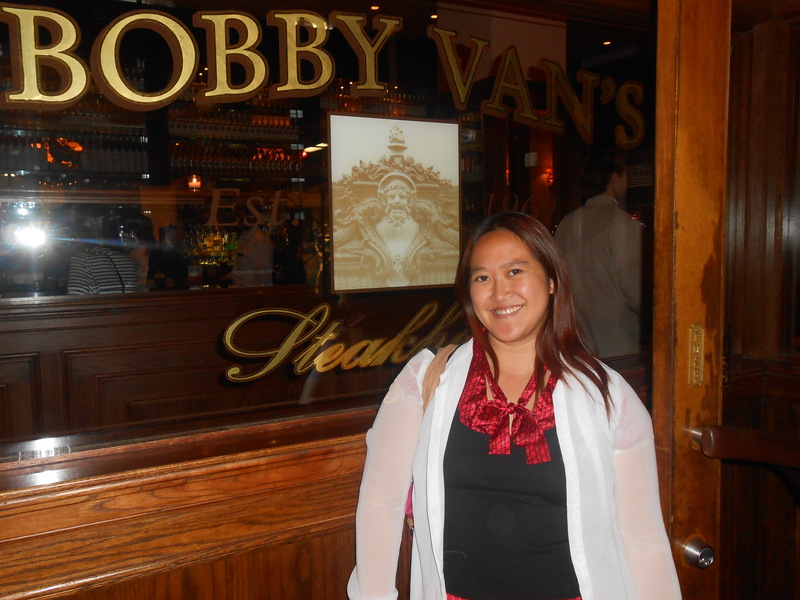 Bobby Van’s Steakhouse is a classic restaurant in the Financial District that a friend and I went for Restaurant Week dinner. 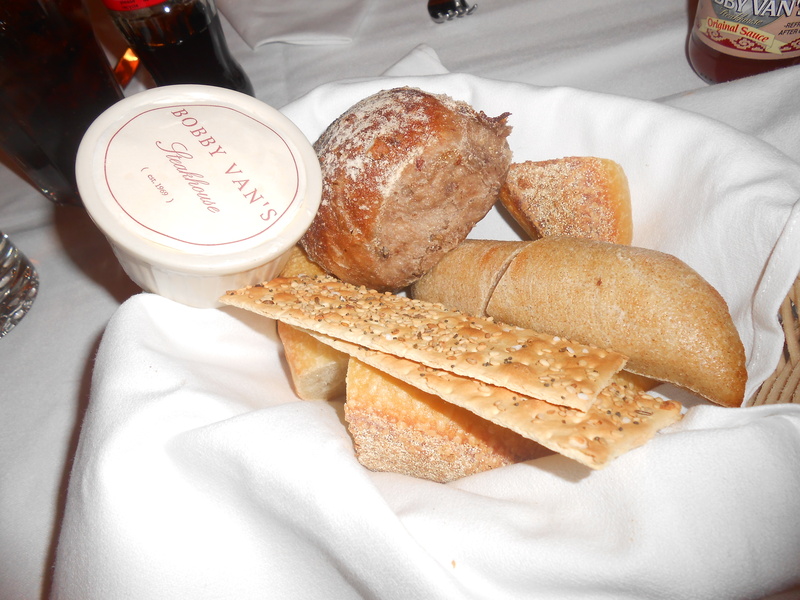 We were seated promptly and given an assortment of bread and multi-grain cracker that was pretty tasty. 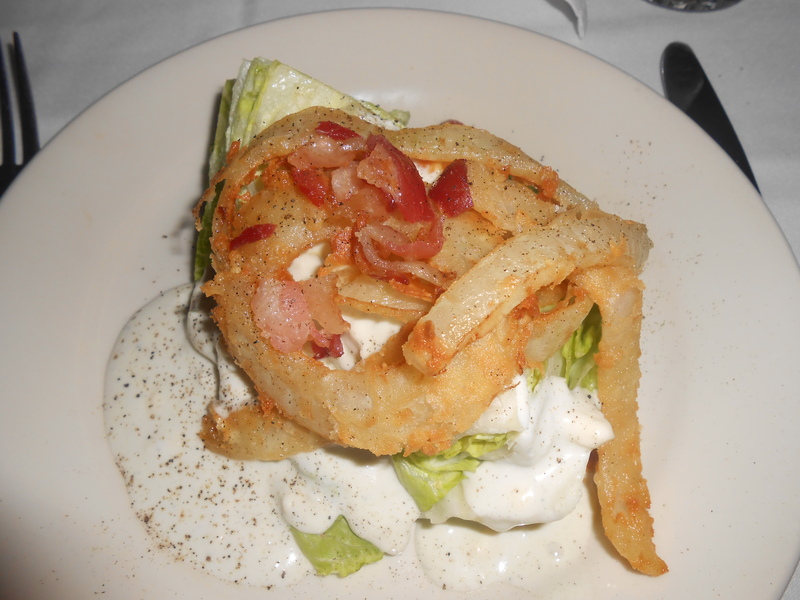 I had the Steakwedge Salad, which actually wasn’t very healthy, but was definitely quite good.. A wedge of lettuce, bacon and fried onion with Ranch dressing (too much of this) and a sprinkling of black pepper. 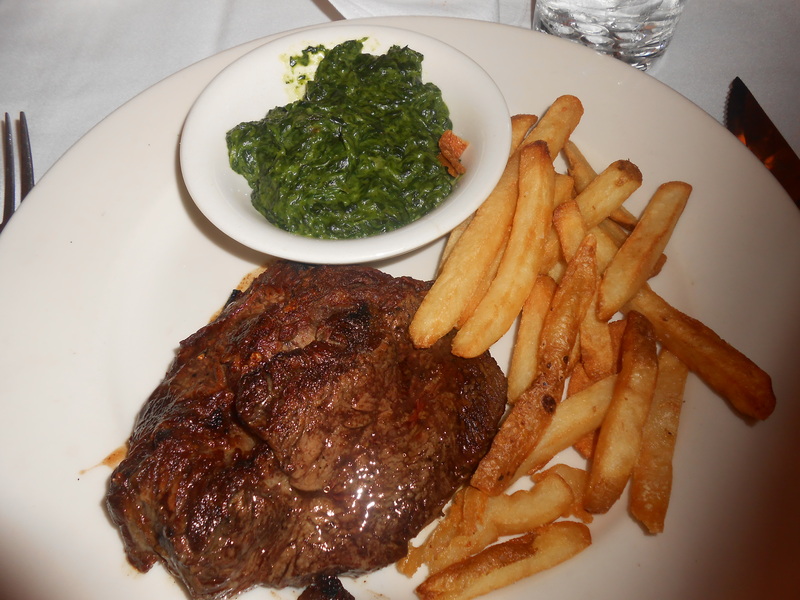 The entree was Filet Mignon with creamed spinach and french fries. My Filet Mignon came butterflied because I wanted it well done, and it was delicious… Juicy, full of flavor, tender! The creamed spinach was too creamy for me and had a sort of strange taste to it. The fries were decent. Even though I normally prefer skinny fries, I liked the crispness and flavor of these ones. 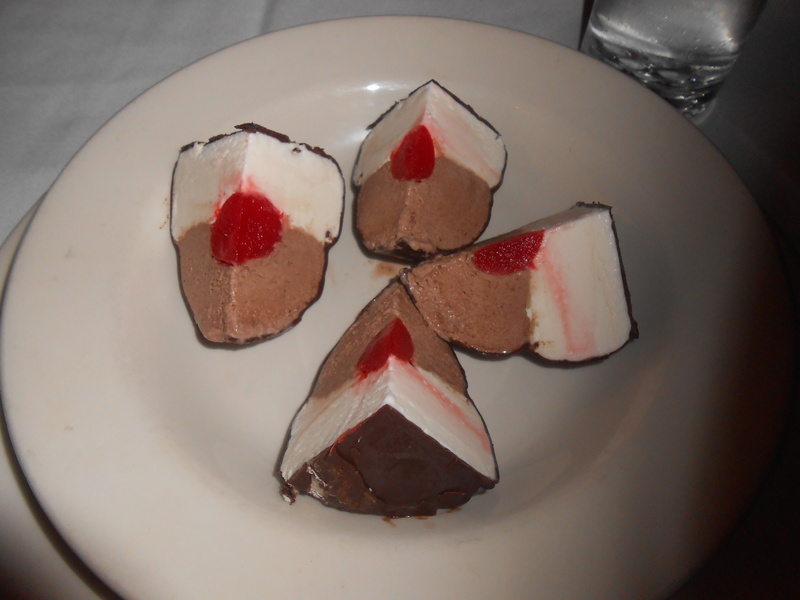 I tried tartufo for dessert, which is an Italian specialty of chocolate and vanilla ice cream covered in a chocolate shell, with a cherry in the middle. This was delightful… Not too sweet, and the combination of the chocolate with wonderful ice cream & cherry worked really well together. Well worth the extra $2. The service was quite good, until it came time to receive our bill- took awhile to get it. Otherwise, well done.